Green tea ingredients: green tea’s health benefits come from its particular ingredients (phenols, catechins etc.) and its unique blend of active substances. Not all >>green teas<< are the same. In regards to taste, nutritional value and >>health benefits<<, there is a wide range of specific >>green tea varieties<< and numerous cultivars that are worth knowing about and using. Additionally, the method of tea >>preparation<<, consumption and storage has a significant effect on the extraction and preservation of the tea’s ingredients. It is worth learning a little about these interrelations in order to utilise the full potential of this great medicinal plant. For certain diseases and health problems, special green teas belonging to particular cultivars can be used to achieve specific desired effects. Roughly-speaking, the ingredients of tea can be divided into two groups: volatile and non-volatile. The non-volatile substances (polyphenols, amino acids, organic acids, caffeine, vitamins, etc.) and especially the tea polyphenols (catechins and theaflavines, in particular) are of great importance to the taste and effects of the tea. Compared to other tea varieties, green tea offers a combination of unique taste nuances: from astringency, light bitterness (tannins, catechins), full-bodied “umami” (amino acids and minerals, among others), sweetness (amino acids, polysaccharides) and chlorophyll tastes (chlorophyll a and b); to flavours that are mineral, earthy (minerals, trace elements), floral, grassy, fresh (essential oils, saponins, fatty acids and secondary plant substances); ranging from strong to tender. This complexity of taste is a reflection of the large number of important active ingredients in green tea, which have excellent health benefits, especially due to their unique combination. For more information, see: >>Taste and Quality<<. Many of the active ingredients in green tea have been intensively researched in recent years. Today there are thousands of >>studies<< on the contents and effects of green tea, which evidence the exceptionally positive effects of the tea on health. In spite of this, the majority of the 200-250 significant secondary plant compounds and 360-400 essential oils of green tea are yet to be fully discovered or remain misunderstood. What is more, new substances continue to be found. Studies have also shown that it is not only the individual ingredients that are effective, but their combined workings and interactions within green tea. Equally remarkable is the fact that through the metabolism of green tea ingredients in the body, certain other substances are produced that are important for health – such as >>theaflavines<<, otherwise only found in oxidised teas (e.g. black, oolong and Pu erh tea). Source: Kumar, R., et. al. : Black Tea: The Plants, Processing/Manufacturing and Production, Tea, 2013, S. 51.; vgl. 1, S. 6. When dried, green tea contains a very high amount of valuable, active substances, especially: catechins, flavanols, proteins, polysaccharides, fatty acids, vitamins, minerals, trace elements, amino acids, caffeine, essential oils, chlorophyll and numerous other secondary plant substances. Green tea is rich in several groups of ingredients in outstanding forms. These include above all phenols/tannins/bitter substances: catechins, theanines, saponins as well as essential oils, amino acids, vitamins, minerals, trace elements and caffeine. The special feature of the green tea plant – Camellia Sinensis – is that its ingredients are present in a highly water-soluble form and that these are therefore particularly available to the body in tea. In other words, if the tea leaves were to be eaten and not steeped in hot water, our body would not be able to utilise a certain portion of the active substances to the same extent, or at all. This factor distinguishes green tea from numerous other large medicinal plants, where the extraction of the ingredients is much more difficult or the water solubility is limited. A good example of this is lavender, the ingredients and above all essential oils of which must be obtained mainly through distillation; lavender tea has only a very limited effect. On the other hand, by consuming powdered green tea (Matcha, Benifuuki powder), some of the non-water-soluble substances are better absorbed. These include the fat-soluble vitamins A (retinol), D, E and K. Nevertheless, the important catechins from green tea are also concentrated and made more available through extraction processes in powder (green tea extract). Especially the bioavailability of catechins – the main catechin EGCG, in particular – has to be paid attention to (flooding in the blood level, compatibility for the liver, reduction of bioavailability through animal fats, and increased by other substances, such as vitamin C). >>Polyphenols<< (tannins, bitters), primarily: Usually about 20-35% in dried mass, most important group of substances for taste and numerous effects of tea. The most important group of polyphenols in tea, basically the most essential for the comprehensive health effects (antioxidants, anticarcinogenic, antiviral, antibacterial, antifungal, anti-inflammatory), but in complex combined workings with the other tea polyphenols. Usually about 12-24% in dried mass. Catechins are converted to the aromatic substances theaflavins and thearubigins (orange-red colour) through oxidation of the tea leaves – as in the production of black, oolong and Pu Erh tea. Epigallocatechin (EGC) Especially important for activating the immune system. Epigallocatechin-3-gallat (EGCG) Most crucial catechin: quantitatively and for health effect. Catechins occurring only in a few cultivars (especially Benifuki), particularly important for antiallergic effects, as well as metabolic and liver applications. Flavones Together with chlorophyll, they determine the green colour of the green tea infusion. Saponins Particularly strong antiviral effect, especially against flu viruses. Formed in the roots and transported from there to the young leaves. Most diverse health effects. Amino acids are converted into catechins under the influence of sunlight. Shaded green teas and varieties from stems therefore have a particularly high amino acid content. The most important amino acid of the tea plant, both quantitatively (60-70% of amino acids) and health-wise. Makes the caffeine in tea tolerable and has a stress-reducing and anticarcinogenic effect, as well as a positive effect on the brain and memory. Unlike coffee, it is bound to tannins and more digestible, since its effects are combined with those of the other ingredients. 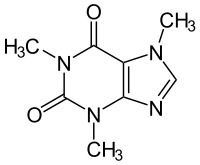 L-theanine in particular makes caffeine tolerable. Caffeine in the green tea compound improves the body’s physical performance, endurance and alertness, as well as increasing brain performance to a certain extent. The term “theine” for caffeine in tea is outdated. In particular, 40 of the approx. 50 essential and rare trace elements are contained in a particularly compatible and bioavailable form. Determines mainly the green and yellow colours of the green tea infusion (chlorophyll-a = dark green and -b = yellow). In the most important varieties of green tea, the above-mentioned ingredients are found in various concentrations and combinations. This is mainly due to the use of different parts of the tea plant (buds, leaves, leaf veins, stem), various cultivation and production methods (particularly shading, pulverising, rolling methods and use of fertilisers) and the time of year that the harvest take place (first to fourth harvest/tea picking). Consumers should take advantage of this and drink various varieties of tea in changeable quantities and at different times. In order to benefit from the specific active ingredients of the green tea plant that do not get infused into tea water at all or only a little – or which are adversely affected by water – it is advisable to take green tea dried or powdered as a supplement. The finely ground green tea powder Matcha, Benifuuki powder and green tea extract deserve special mention here. In comparison to other green teas, Matcha has a lot of antioxidants, proteins, polyphenols, caffeine, minerals (especially calcium, potassium), vitamins A, E and beta-carotene. Green tea extract contains concentrated polyphenols – especially catechins (e.g. EGCG) – and is often decaffeinated. Benifuuki powder is extremely rich in methylated EGCG (EGCG3 “Me). Green tea is characterised by a high content of >>caffeine<< (sometimes known as “Theine”) in most varieties and has always been appreciated for its stimulating effect. In recent years, more and more studies have shown that caffeine has numerous other health benefits for the body, so long as the daily intake is limited. It is therefore important to obtain an adequate supply of caffeine daily. What is more, it is not only the pure caffeine content in a beverage that counts, but also how strongly caffeine is bound to other active substances and how these substances interact altogether in different people’s bodies. Green tea can provide an especially effective form of caffeine here, as long as a beneficial form is used and prepared correctly. This is because caffeine in green tea is bound to tannins and works closely together with the amino acid L-theanine. Compared to all other caffeinated beverages, such as coffee, espresso, black tea, Mate drinks, cola, etc., the caffeine in green tea is unique and much more digestible. Nevertheless, certain people react to the consumption of green tea and its caffeine with unpleasant symptoms (nausea, nervousness, sleep problems etc.). It is therefore important to know more about green tea and how to use it correctly. What >>tips<< are there for people who want the health benefits of green tea but are sensitive to caffeine? Why do some people react sensitively to caffeine in the first place? Can this sensitivity improve? Which green tea varieties have >>how much caffeine in mg<<? How does the caffeine in green tea compare to that in coffee and black tea? Is it better to switch to caffeine-free green teas? 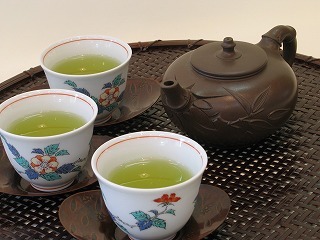 It is also important to note that – in contrast to other types of tea – a large proportion of the valuable ingredients in green tea are only preserved by inhibiting fermentation or oxidation after harvest. If this does occur, however through roasting/pan heating – as in most Chinese and Indian green teas – a significant quantity of the ingredients is destroyed through heat. Only the briefly and gently steamed green teas, i.e. the majority of >>Japanese green teas<< (Sencha, Gyokuro, Shincha, Matcha, etc. ), preserve their harmonious and particularly healthy mix of important ingredients. This applies all the more to teas of different fermentation degrees: white, yellow, oolong, Pu Erh and black teas. During the oxidation of the plant, the key ingredients are converted or destroyed to a much greater extent than is the case through roasting alone. For example, more strongly fermented teas contain smaller to no amounts of important amino acids, catechins, essential oils and vitamins. These teas have particular effects and contain very special active ingredients for health applications (such as theaflavins and theorubigins); generally-speaking, however, in contrast to steamed green tea only a much smaller percentage of the tea’s ingredients are valuable. Chen, Zong-Mao; Chen, Liang: “Delicious and Healthy Tea: An Overview”, in: Chen, Liang; Apostolides, Zeno; Chen, Zong-Mao: “Global Tea Breeding”, Springer, 2012, S. 1-11.